Autumn is a season that definitely divides opinion. For some, the arrival of September is greeted with regret, as it spells the end of summer. Their priority is to make the most of the few warm days that are left by getting outside and enjoying the sun before it disappears behind the clouds for a few months. The thought of the days getting darker and the temperatures colder is a distinctly unwelcome one. For others, autumn is a delight. They love to play with conkers and kick fallen leaves around like when they were kids, enjoy the seasonal oranges, reds and browns, and will revel in night-time events such as Halloween and Bonfire Night. They may also include those who suffer from hayfever or don’t enjoy hot weather, which means the end of summer will be good news. 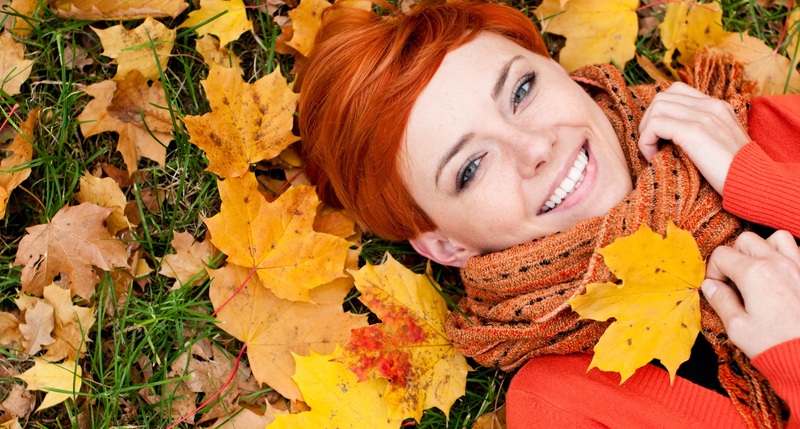 For employers, it is important to recognise these very different attitudes to the season. Some will want to celebrate it, while others simply need cheering up. Either way, it’s a great idea to brighten up the office. Make sure as much natural light is getting in as the days get shorter. This effect is particularly noticeable in September. Everyone knows the days are getting shorter, but it is a little known fact that the rate at which this happens varies depending on the time of year. Around the solstices, the planet’s axial tilt slows to a halt and then goes into reverse, picking up speed gradually. It then peaks around the equinoxes (March and September) before slowing down again towards the next solstice. This means it gets darker faster this month than any other. Beware the impact this can have on people’s moods. As well as maximising natural light, now is a good time to check your office lights are in good order, and given them a good clean if they are dusty. Bright colours are sure to be particularly welcome as the days get darker. This will be especially true after late October when the clocks go back, as then people will be leaving the office in the dark. Many offices will want to get stuck into the festivals of the season. Halloween could be a day for dressing up (or down), but not everyone enjoys the event, so don’t force it on staff. Food could play a part in this with pumpkin-related recipes or even bobbing for apples. Why should the school kids have all the fun? Bonfire night offers its own treats and themes. A staff outing to a local public fireworks display may be a great works night out, while the office baking rota could include traditional treats such as parkin. Another great reason to celebrate all things autumnal is to put off the start of Christmas fever. Like autumn, that is also a time of year that divides opinion, but while some might be counting down the days already, others will be happy to leave all that frivolity until December. Ultimately, however, autumn is a time to be enjoyed for its own sake, rather than just being the thing that happens between the school holidays and Christmas. By keeping the office bright and cheery and doing some fun things, it is possible to do full justice to the season.